Perth Vintage Cycles: The Pashley Guv'nor Plus Four bicycle. The Pashley Guv'nor Plus Four bicycle. 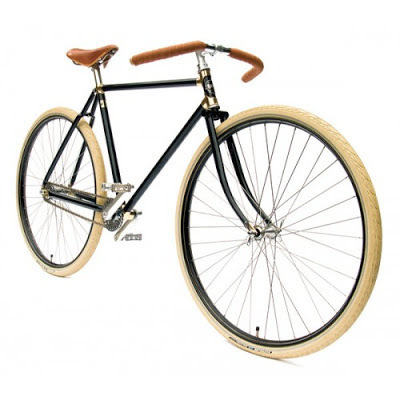 In 2009 UK based Pashley Cycles released its limited edition Pashley Guv’nor Plus Four bicycle. The Guv’nor Plus Four features a Reynolds '531’ frame with brass plated lugs, the lugs look absolutely beautiful and are truly stunning in the flesh. The bike also features a Sachs Duomatic rear hub and Speed Drive front chain wheel that provides the four gears that the title alludes to. 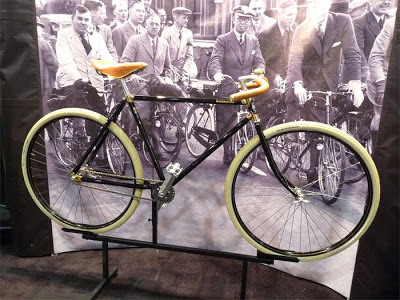 Its heritage arose from the 1930’s path racer for which the Guv’nor series of bicycles have become notorious. The Plus Four edition was limited to 50 bicycles that were distributed randomly throughout the globe. Each bicycle bears a brass identification plate that sits at the base of the seat tube just above the bottom bracket. Each plate identifies the number of the particular bicycle in the series of 50. 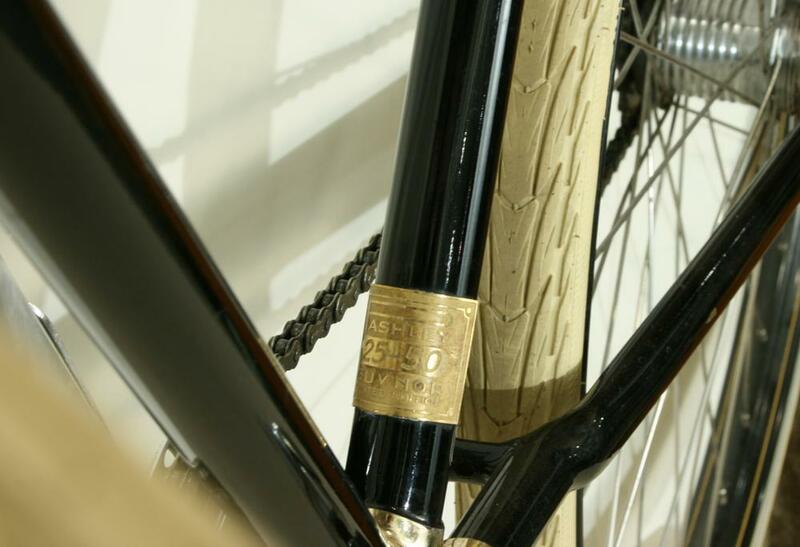 The brass identification plate on each bicycle. 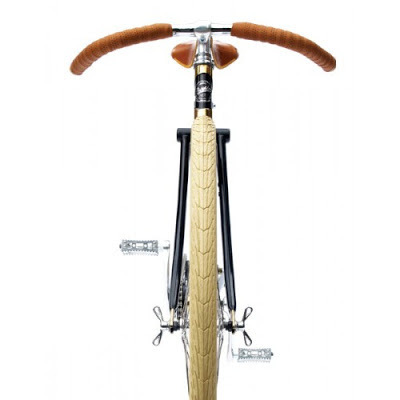 Due to limited numbers, the Plus Four was hastily snapped up by bicycle collectors and cycling enthusiasts around the world. As you can imagine, each proud Plus Four owner is interested to discover the fate of the other 49 bicycles in the series 50. 'The Guv’nors Assembly' is a website located at http://www.theguvnorsassembly.com/ and is the site where Guv’nor owners worldwide display their admiration for Pashley Guv’nor bicycles. The site provides a forum, events, and other applications for Guv’nor owners to enjoy – and well worth a visit. FOR SALE BOBBINS CYCLES, LONDON. Duchy would dearly love to receive an email from Plus Four owners who have not yet been identified. Please email Duchy at sjb.gfb@virgin.net if you can provide any assistance. 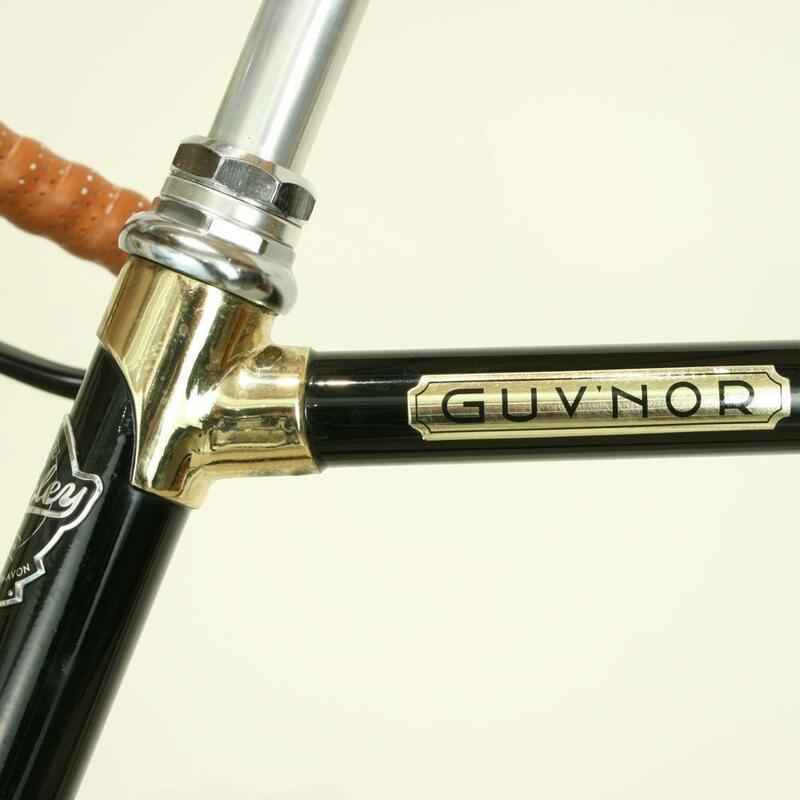 Labels: Guvnor Plus 4, Pashley Guvnor, Pashley Guvnor Plus Four, Plus Four.